It’s happened to all of us at least once. In the middle of a hunt, an enormous wild boar weighing about a hundred kilos takes off in front of you. Having checked he is in your angle of fire, you shoulder your weapon and pull the trigger. The shot fires, but the animal carries on! You are starting to doubt your marksmanship, even though it is well-established along the line of guns. So you fire a second bullet. The black beast continues his flight. “Missed again!” you curse to yourself, thoroughly disheartened. However, at the end of the drive, you find the glorious animal 200 metres further on, hit twice in the front flank. How is that possible? In fact, the wild boar really is a tank on legs. It is well-known to be strong, thickset and particularly intelligent, but what people don’t realise is that the animal’s flank, rightly called “armour”, is particularly reinforced. During the rut, the wild boar fight over the sows by charging each other at the shoulder. Over the seasons, this part of the body toughens up: simply put, the skin becomes thicker. This natural process happens on your own body too; for example, if you regularly walk around without shoes, the soles of your feet will end up more like clogs than anything else. Given all this, choosing your calibre and ammunition properly becomes more important than ever. Too small a calibre will only wound the animal, which is dangerous, as well as being unethical, don’t forget. Likewise, ammunition which expands too early may not be fatal, even with the appropriate calibre. The ideal ammunition for larger wild boar must penetrate the animal’s flesh and then expand to the maximum to provide the best stopping power possible. Last year, Winchester Ammunition, a sister brand to Browning, put Extreme Point on the market. 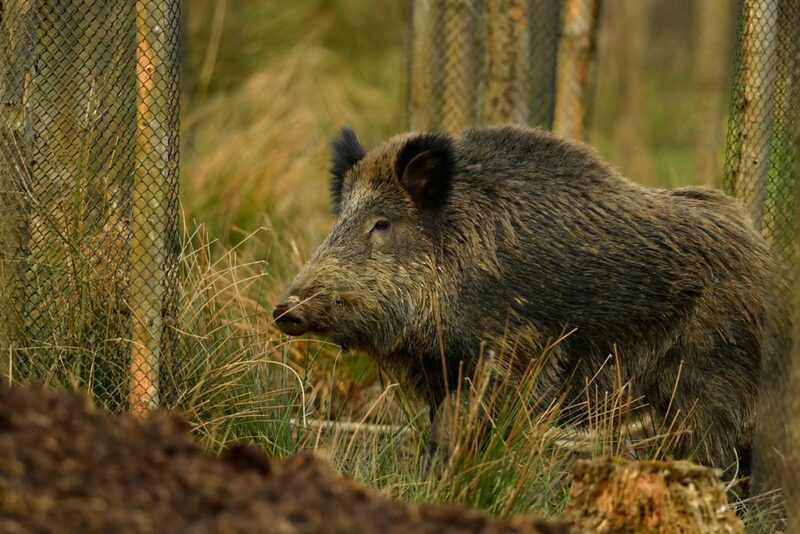 The much wider plastic-tipped bullet has proved to be very effective on wild boar. The rapid expansion provides unequalled stopping power. I would like to know which the most effective for big wild boar the bxc of 180 gr or the bxr of 155gr to shoot with a 300wm?? For big wild boar, the best choice is the BXC.